On 10 July 2018, J. Scott Marcus testified before the European Parliament Committee on the Internal Market and Consumer Protection (IMCO). The authors firstly present the growth of e-commerce within the EU, highlighting the remaining cross-borders impediments. 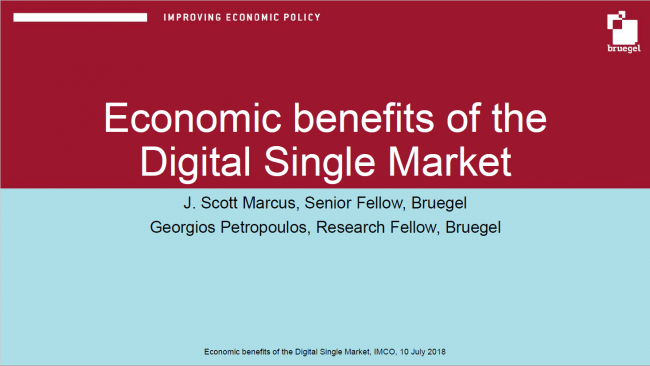 In their view, the completion of the Digital Single Market wouldl provide some answer to these issues, and will assure consumer protection in a more efficient way. Finally, they estimate the economic benefits of sales of goods and services through e-commerce, and assess the legislative measures that have been taken so far.